Some men think body hair is a sign of masculinity. But when you ask their female counterparts, you’ll find it’s anything but. 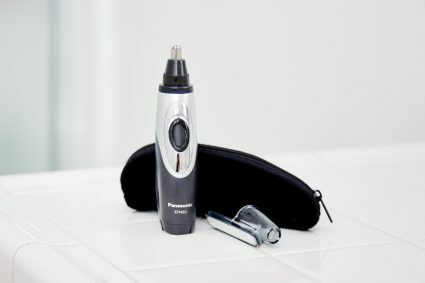 After 40 hours of active testing and 12 additional months of researching, long-term testing and comparing the top body hair trimmers, we’ve determined the effective Philips Norelco – Bodygroom is the best choice on the market. It’s powerful, versatile, has amazing battery life, and won’t threaten cuts where you want them least. And if you’re trying to shave your back hair — without the benefit of a yoga teacher’s flexibility — there’s no better option than the Mangroomer. We first analyzed around 50 different options based on reviews on Amazon and other articles we read. We looked for excellence in battery life, overall durability, and the least amount of complaints about “pain” that the incorrect unit can cause. We looked for units capable of precision, but lacking extreme sharpness — the ability to cut everything you need to various levels, but not cause pain while doing it. 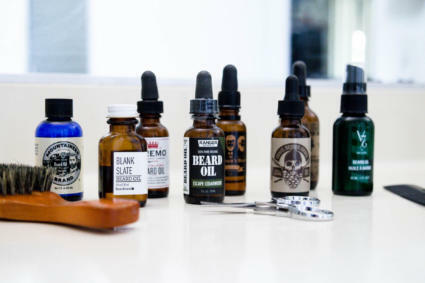 For this reason, we ruled out most facial hair trimmers, as the coarse skin of the face is a good fit with a sharper blade, but for most other areas where you mostly want a trim or don’t want the full cut, you won’t want that kind of closeness. Many body hair trimmers we considered had problems with durability — they broke in months and didn’t have a warranty to back them up. 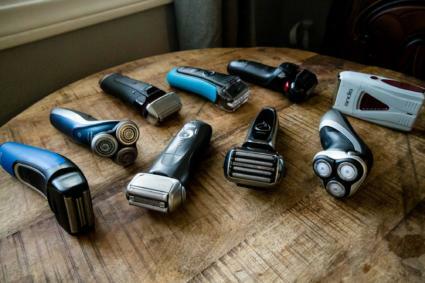 Or the battery life was substandard — if you forget to plug in these trimmers, which many of us will, they can spurt out to zero at the worst possible times. In final, we wanted to test units across a representative sample of use cases. 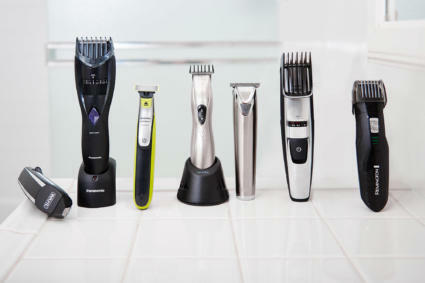 Many of these trimmers technically fit in the body hair trimming mold but also double as face shavers or trimmers. So if you’re considering a hybrid model, one may be a possibility — but be warned, said models may not be a good choice in the wrong place. One of the first things we looked at with these units was blade sharpness. A common adjective in reviews of bad units is that they had “teeth” — and in feeling the design of each of these, it became quite obvious which ones did. As you can see from our shot, the Philips Multigroom resembles a vampire. It’ll function great as a weapon to ward off criminals, but it clearly doesn’t feel, function, or look like something you’d want to use for precision below the belt. The other shaver in the all-in-one use category, the Remington PG6025, was a little more refined, but still looked and felt like something meant for your face, not for your body. 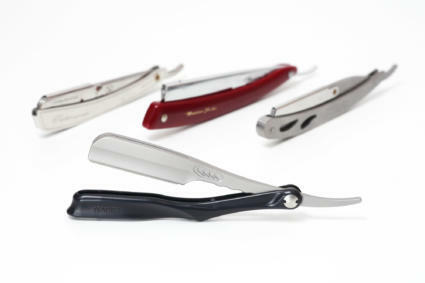 The Gilette Styler and Braun Cruzer’s small teeth were fine and delicate, great for precision shaves. The Mangroomer, while not really as applicable as a comparison point, also had fine, effective teeth for trimming up your back. The Bodygroom, on the other hand, had delicate teeth in addition to a 3-D pivoting head that allows for a close shave that’s also the most skin-friendly, making it the best option amongst all the units in terms of hitting the trifecta: precision, comprehensiveness, and safety. Next, we tested battery life. These units can frustrate if you’re mid-shave and they die out, so minimizing that with a unit with durability is definitely a plus. So, we tested the products by charging them fully and then running them till the battery died three times, to create an average battery life for each. The only exception to our test was the Gillette Styler, which unlike the plug-and-go options of the other units, used a AAA battery. This gave it significantly more battery life than the other models, with the offset being you’d have to buy (or recharge) the battery over time. Depending on your opinion, this could be good or bad. The good is that it lasts a lot longer and can instantly be replenished: the bad is that its lifetime cost is slightly higher the other models. The Bodygroom, already our preferred option in blade type, also outperformed the field in battery life, with a two-hour average run time. The Braun performed worse, at only an eighty minute run time. Likely using a similar battery technology, Philips’ Multigroom also performed solidly, but as we noted, that’s a unit that best fits your face, not your body. The Mangroomer took last in our tests, but had an okay runtime overall if you consider it’ll mostly be used on only one area. Another thing to consider is the model size. The Mangroomer, while effective in trimming back hair, is also a beast in total size, at almost a foot long. It’s not going to fit in your bathroom medicine cabinet. The Bodygroom is somewhat sizable and has a plugin base it must sit on, but isn’t overwhelming. Its size actually helps it be a serviceable back hair trimmer as well, given it has slightly better reach than any other unit besides the Mangroomer. The Gillette Styler, though, feels small in your hand — which really works to its benefit. It’s powerful but tiny, perfect for hair-by-hair styling if you’re looking for finesse in your trimmer. Finally, we functionally put the units to work and considered their main use case/want: body hair trimming. Would these do the job? Would they do the job without pain? Would there be enough flexibility to give most people their preferred hair length? All of these considerations factored into our overall winners. Before we get into our picks, it’s worth looking at the extra characteristics and looking at all the facts side by side. The following chart breaks down each major trimmer in a helpful chart. Click the image to enlarge it to full size. There’s no doubt in our minds: the Philips – Bodygroom is far and away the best body hair groomer. Versatile, long lasting and safe, the Bodygroom is our preferred pick. Few of the other choices we picked seemed clearly designed for the task — trimming neck-down body hair. Others kinda tried other activities and in concert, ended up making the body hair trimming function a lot less effective. The Bodygroom on the other hand clearly understood the main problems and concerns of the activity and solved all of them with their two-sided trimmer, one of which is great for trimming chest hair to whatever length you specify, and the other that’s good for trimming any to-the-skin area you might want without causing cuts or scrapes. Better yet, the two-sided design means less attachment swapping/finding, which could cut down on potential misplaced parts that you may incur with the other units you might be considering. 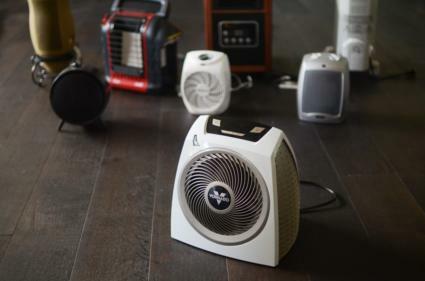 Additionally, it had far and away the best battery life of the units we chose, works in wet or dry environments, and it can also function as a serviceable back hair trimmer; its long design gives it good reach for someone with flexible shoulders. If there is a drawback to the Bodygroom, it’s that it’s the most expensive unit we tested, but only by a small degree. The performance gap between it and the next-best isn’t close: it’s the best body hair trimmer, and if that’s what you’re after, the $5 to $10 is worth spending. If you’re trying to trim your face as well as your body, the best option is the Remington – PG6025. It comes with six attachments, including a foil, linear, nose and ear attachment, and three combs for shaving hair at multiple lengths. A versatile and inexpensive unit that you can use for facial trimming as well. 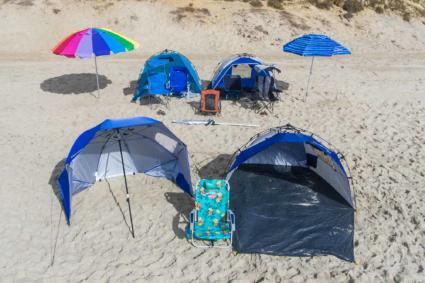 It’s one of the cheapest units we tested, that also managed to be the most versatile. On the negative side, it had a battery 40-minutes weaker than its closest competitor, the Multigroom, and the build quality feels slightly cheaper overall. 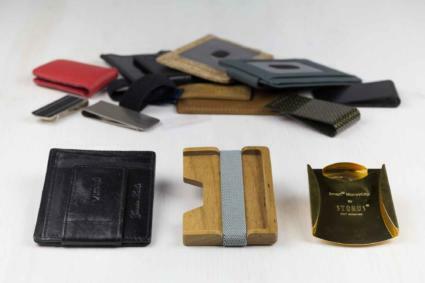 On the plus side, it doesn’t have blades that will rip up your skin — and it does come with a two-year warranty, so that should offset any concerns you have about durability. 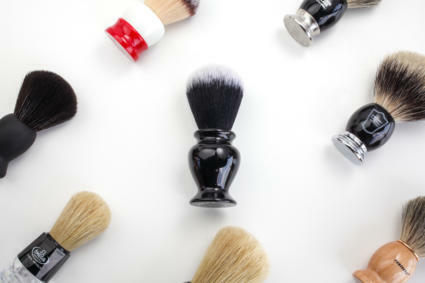 For around $20, you can’t ask for much more in a body grooming kit. It makes sense that the model dedicated to the task would be the best in our evaluation, and after scouring the web, we’re still confident the Mangroomer is the best back hair trimmer available. Although costly, no product gets the job done like the Mangroomer. The unit is bulky, lacks battery life, and is somewhat clunky in function, but it does the job, creating an extended arm to easily trim unwanted hair. It’s hard to create anything two feet long and functional for shaving that isn’t awkward, and while the Mangroomer is definitely that, it’s superb at accomplishing its goal: trimming back hair. We wish the price tag wasn’t so hefty for a singularly focused tool, but it’s a pain point worth paying to solve for many people. As a next best option, the Bodygroom is also capable, but it’s likely still imperfect for those without a yoga background. 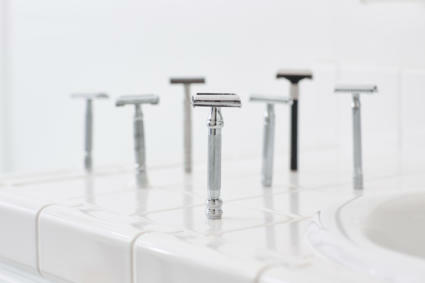 We liked the precision and efficiency of the Gillette – Styler. For those looking for real accuracy when cleaning up their face.. or anything else, it’s an amazing option. But past that, it’s not a powerhouse — it’s very narrowly focused, and isn’t going to trim chest or back hair efficiently. The cost isn’t bad, but when considering the singular use case, it’s on the slightly high side. But it does that single task very well. The Philips – Multigroom had amazing battery life for the price and overall is a solid, versatile trimmer, but it’s just not something you’d want to put anywhere private. If your only use case is chest, arm, face or back hair, it’s a great option and something worth considering for your medicine cabinet. The Braun – Cruzer Body Shaver is an interesting middle-case, in that it’s the only model that actually functions as a face shaver as well as a trimmer given the attached razor. This combination makes it worth considering for the user who doesn’t have a razor and also occasionally wants to trim other hair. However, if your primary use case is as a body hair trimmer, we can’t recommend it over the Bodygroom. It has significantly worse battery life, requires more attachments to perform the same tasks, and doesn’t have the Philips’ swivel head in order to execute more comfortable shaves. After evaluating the many use cases and functions for each of these units, and continuing to use the winner for 12 months, we’re confident the Philips Bodygroom is still the best option for most people looking for a hair trimmer exclusively. 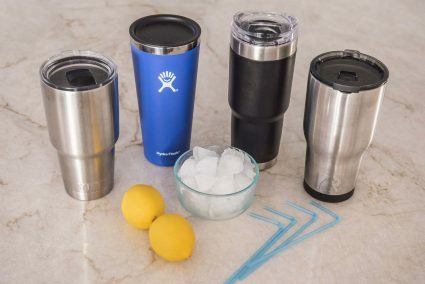 It has great battery life, versatility, and is also significantly easier to use than its counterparts. Given it has two uses built in, there’s less part maintenance and storage, meaning it’s possible to hook in one preferred-length attachment and never have to worry about tracking down anything else again. After picking it as the winner in our initial review and using it actively for another 12 months, we have few complaints. 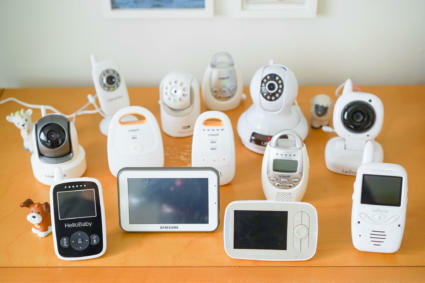 Few nicks, no signs of wear, and overall a great product we would purchase again and again. The quality design, two year warranty and strong Philips reputation all help complete the picture for the Bodygroom. And if you’re not a Yoga teacher and have a problem with back hair, the Mangroomer is a good, if expensive, option to help assist with that. Finally, if you’re looking for a cheaper trimmer that can also function on your face, the Remington is a solid choice as well. Although slightly more expensive than the field, the Bodygroom makes up for it by being significantly better in terms of versatility, battery life, and safety.